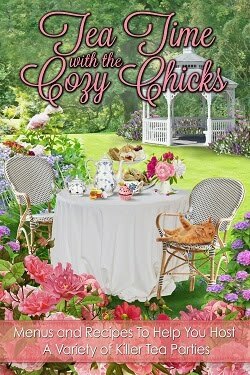 Cozy Chicks: New Kelly Flynn Knitting Mystery out now! 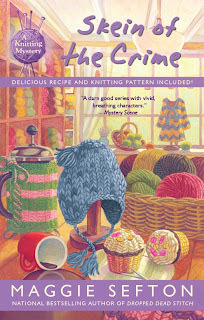 New Kelly Flynn Knitting Mystery out now! Hey, hey, everyone! I'm really excited. Today is June 1st, and SKEIN OF THE CRIME, the eighth book in my New York Times and Barnes & Noble Bestselling mystery series will be available in bookstores and online. Kelly Flynn and all her friends are back for another adventure. A heartfelt thanks to all of you who’ve made the Kelly Flynn mysteries national bestsellers from the very first release of KNIT ONE, KILL TWO in June 2005. Last year’s release, DROPPED DEAD STITCH was Barnes & Nobles’ #4 Bestselling Hardcover Mystery and stayed on their bestseller list FIVE months! Thank you, thank you, Readers---I am overwhelmed by your continued support. And, thank you for telling your friends about Kelly and the gang! The publisher is sending me on Book Tour in June. I’ll start the month off signing in Colorado, then travel to the Midwest including Printers’ Row in Chicago, then back to Colorado for more signings. I’ll en d the month in the Washington, DC, area and sign at the Penguin booth at the American Librarians Association for their convention in DC. I'll also be in the Minneapolis area (Roseville); Madison, WI; Wichita, KS, and Mission, KS. There will also be additional signings in the Chicago area and an all-day author event in Toulon, IL. Please check my website for full details on current signings and appearances. More are in the works. http://www.maggiesefton.com/. Who knows? I may be signing near you. If so, please drop by and say "hello." I love to meet readers! As for what happens in SKEIN OF THE CRIME, well. . .there’s trouble in River City, folks. I won’t say more, so you can find out for yourselves. But, there’s plenty of mystery and murder to go around. Kelly even explores the world of illegally obtained legal drugs. Megan’s hunt for the perfect wedding dress continues, and Kelly learns to felt at Mimi’s workshop i n the mountains. The recession has forced Steve to work two jobs in Denver so he can keep what’s left of his business afloat. Unfortunately, the stress is causing cracks in his relationship with Kelly. Stay tuned. Meanwhile---Enjoy the Summer and Happy Reading to you all! Maggie, I'll be at Printer's Row, hope I get to meet you! Love the cover art! Hope to see you in Illinois! I look forward to the newest edition to the series. Hopefully one of these days I can be one of your signings. Kelly is very interesting along with the other characters and I love seeing what new trouble they can get themselves into. Fantastic Maggie!! I wish you were coming to Cincinnati! Can't wait to pick it up. Congratulations on the release. The cover just says, "pick me up, take me home." Good luck on your tour. Confession: I haven't read this series yet, despite my love of knitting. Since I don't knit in the summer, this is a perfect chance to get in on the fun. Wish you were going to appear near my home in northeast PA. Wish you were going to be coming near us, but alas I'll just have to settle for the book. I plan on picking it up this evening. Best of luck on the tour. I can't believe it's the 8th book already. It's probably not already for you, though. Maggi, you have the best cover art! And if you readers haven't read Maggie's books, don't walk, run to the bookstore. Congratulations on the new book! Can't wait to get my hands on it; the others have been sooooo good! Can't wait to read it! I pre-ordered it months ago - so it should be delivered soon!! 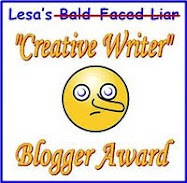 Have this one on my TBR list. I enjoyed the others in the series very much. Congratulations on the new title - and I agree that the cover art is great. 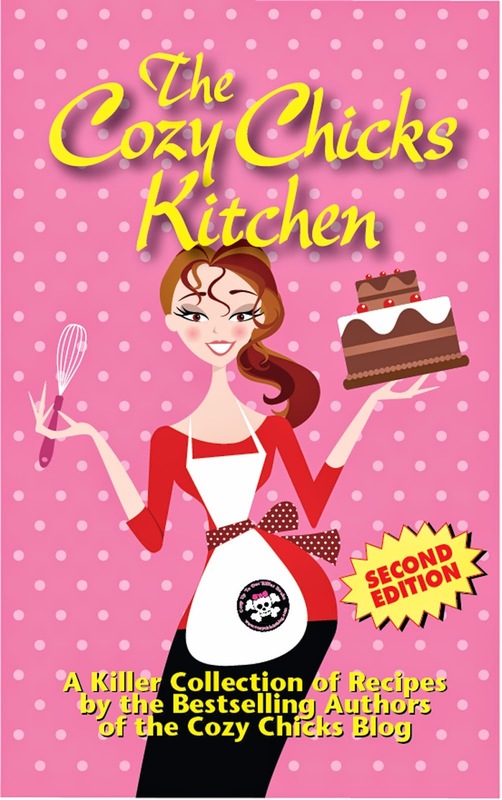 The cover of your book is fabulous! Congrats on the release of your latest books. I can't wait to read it and I should have it in my hand. Every time you say "there's trouble in River City", I think of the Music Man. Shel & Diana---I hope I see you there. Thanks. Thanks so much. I hope you enjoy this next adventure. Mason, Rural, & Janet----I hope you give the series a try. Kelly and the gang are a lot of fun. They continue to crack me up. Mare, Ellery, & Deb---Mega thanks for the kind words, guys. I appreciate it. Lover of Books---I hope you can come to the BN at Roseville. it's tomorrow night, Wednesday, June 2. Sign Lady, Rebecca, Helen---Thank you SO much for those kind words. I'm so glad you're enjoying the series. Sorry I'm late with replies. Just returned from my first signing, at a B&N in Loveland, town south of Fort Collins. Nasty traffic slowdown on interstate due to construction. WindyCindy---So glad you enjoy the covers, girl. I'm sad,no New York area signings? I love your books and have read them all.